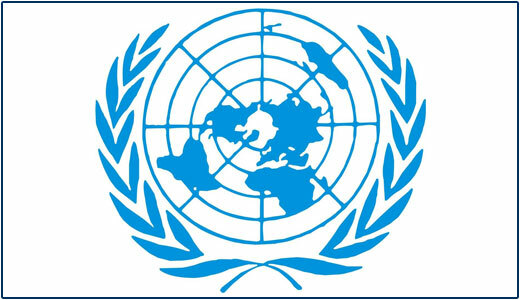 Within the framework of the United Nations take an active part in the European Economic Commission (UNECE) and Asian and Pacific regions Affairs’ Council (UNESCAP) works. Within the framework of the mentioned agencies issues related to the regional significance automobile and rail roads’ their visualization in the interstate significance road maps, increasing traffic safety and correspondence of international standards were discussed. In the framework of cooperation with UNECE participation is rendered in group meetings on transport affairs, while the Republic of Armenia is a member of the “Trans-European highways” and “Trans-European Railways” projects from 2006, which aims at disclosure of significant importance transport routes their improvement and compliance with the European standards as well as preparation of those routes improvement projects, and detection of possible financing resources in terms of the contact with European countries. In the framework of cooperation with UNESCAP the participation is highlighted in the ongoing cooperation of Trans-Asian Highways and Trans-Asian railways transportation network formation and development. In this field, required statistical data is exchanged between the countries, international qualified groups of experts provide recommendations aimed at improvement. Within the framework of Trans-Asian Highway program in 2007 March UNESCAP-experts visited to Armenia and made technical visit to Goris-Kapan freeway resulting preliminary technical - economic substantiation. At present the possible involvement of international financial sources is observed for the mentioned road repair and compliance of international standards. In November 5th, 2013 in Bangkok there will be signed "Dry ports" agreement, which will serve as a new basis for landlocked countries to facilitate the organization of cargo transportation.